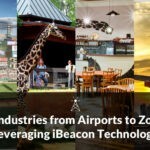 Beacons are among the latest technology innovations that workplaces are harnessing for increased productivity and efficiency. Beacons in workplaces can be used to optimise multiple processes, from employee time tracking to floor navigation. 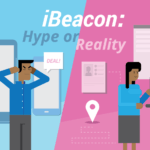 Our earlier post on beacons in the workplace covers a wide range of beacon enabled solutions for offices. In this post we explain how you can easily handle the registration/attendance process for trainings or conferences held at workplaces, using Beaconstac. The objective of this campaign is to create an automatic registration process, for training sessions held at workplaces. As an example, we have set up an event called “Future Leaders Programme” which is to be attended by all the managers of XYZ Enterprises on Wednesday, 23rd December 2015, between 9:00am and 3:00pm. A welcome message will be sent out to all the attendees soon after they walk into the auditorium (between 9.00am and 9.30am), via the beacon installed inside the event venue. This is also a way to track the attendance for the event. Before we begin, the first thing to do is to purchase a couple of beacons. Once you have your beacons in place, add their details such as UUID, major and minor numbers to the Beaconstac dashboard, as shown in the image below. You can also name the beacons for easy identification. For the purpose of this campaign, I have named the beacon as ‘Grand Auditorium’ after the auditorium where it will be placed. Once you have added the beacon details, they are ready to be installed inside the auditorium, close to the entrance. We shall now create a card that attendees will see on their devices. Cards are basically the creative content that show up as a notification on the user’s mobile phone when certain conditions are met. Beaconstac offers several types of cards such as Summary, Photo, Media, etc. For this campaign, we will be creating a welcome message which will be sent out to all the attendees, soon after they walk into the venue. After installing the beacon, you need to create a rule for the beacon placed in the auditorium so that it triggers the welcome message 10 seconds after attendees enter the venue. The next step is to add custom attributes that will help ensure that only the desired audience receive beacon messages. Custom attributes can be used to filter users based on criteria such as employee type (engineer, manager, etc. ), dwell time or any other relevant data point. For this example, we are creating three custom attributes called, “Time of day”, “Employee type” and “Registration status”. A welcome message will be sent to attendees upon entering the Grand Auditorium. The last step is to set the action that needs to be triggered when the rules match the required criteria. In this case, the required action is to send an automatic welcome message when the attendees enter the auditorium. In the Visitors tab under the Analytics section, you can get more specific information about each attendee who interacts with your beacon. Here, you will have access to a list where you can see each attendee’s name (depending on the permissions your app has taken from them to collect this information), last visited location (in this case the auditorium), total number of visits, Beaconstac SDK version and device profile. In this example, the attendee list can help you track the attendance for the training programme. Try out this beacon pilot project and let me know your thoughts about this campaign. If you have any questions with regards to this campaign or if there is a specific campaign you would like to read about, I’ll be more than happy to share how you can get it done using Beaconstac.